The deal values Arsenal, one of Britain’s top soccer clubs, at £1.8 billion ($US2.33 billion). Arsenal’s second-biggest shareholder, Russian billionaire Alisher Usmanov, has reportedly agreed to the deal, meaning the takeover should go through easily. LONDON – Arsenal shareholder Stan Kroenke is set to take full control of the North London football club as part of a deal valuing the team at £1.8 billion. 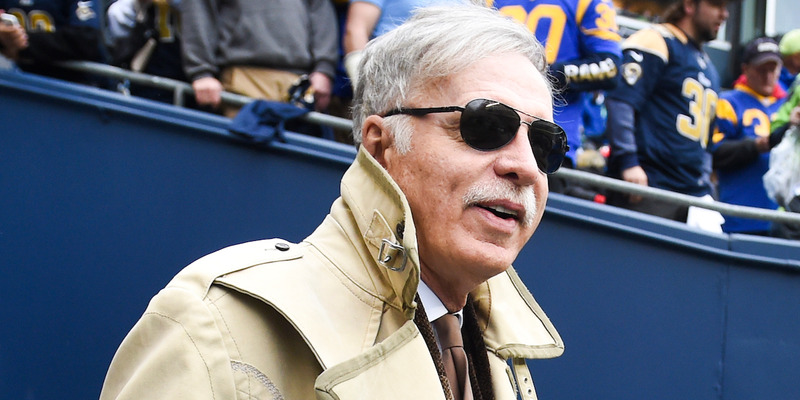 Kroenke currently owns just over 67% of Arsenal FC and on Tuesday KSE, his Delaware-based holding company, announced an all-cash offer to buy all the shares in the club it doesn’t already own. The company is offering £29,419.64 ($US38,116.50) in cash for each share, valuing the entire club at £1.8 billion. KSE said it has received “irrevocable undertaking” to buy out Arsenal’s second-biggest investor, Russian-Uzbek billionaire Alisher Usmanov. Usmanov owns just over 30% of the club through his vehicle Red and White Holdings. Kroenke has been battling Usmanov for control of Arsenal for over a year. Usmanov made a £1 billion ($US1.3 billion) bid to buy the American businessman’s stake in the club in May 2017, an offer that was rejected. Usmanov’s large ownership stake means that if he agrees to the terms set out on Tuesday, Kroenke’s takeover bid becomes binding and he can force non-compliant shareholders to sell up. Kroenke, who is worth an estimated $US8.3 billion according to Forbes, made money in real estate before becoming a sports mogul in the US. He owns NFL team the Los Angeles Rams and NBA team the Denver Nuggets, among others. He began building his stake in Arsenal in 2007 after buying a 9.9% holding from ITV.